Nr. 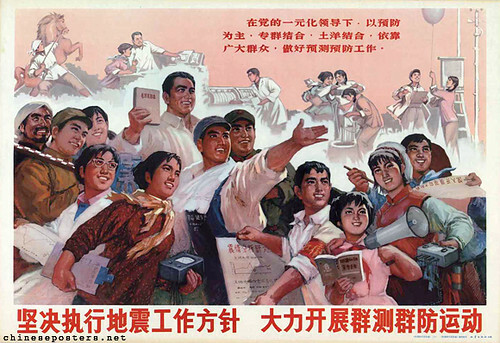 6 from the series ‘Earthquake relief propaganda posters’ (Kangzhen Jiuzai xuanchuan hua – 地震救灾宣传画). The poster was published in the aftermath of the Tangshan (唐山) earthquake on 28 July 1976.